Comment: Buying home. Animals have at some point entered attic and damaged insulation. Interested in animal-resistant insulation. Comment: Garage needs dry wall to be sealed off from roof. Then add insulation. Comment: Cats tore down insulation in areas of basement and in crawl space. Need it repaired in some places, replaced in others. Comment: Squirrels got into my walls through the roof and tore apart the insulation. My heating bills are much higher since this happened. Comment: need to clean out attic insulation properly and make sure attic is properly vented on soffits and roof. Comment: Basement walls needing blown in insulation. We are in a time frame getting carpet etc. So the window to get this done is within the next 2 weeks. 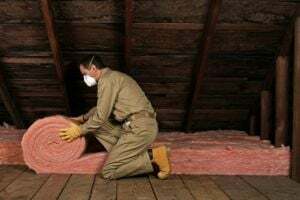 Spec 7 Insulation Co. Inc.
Sprayfoam Roofing and Insulation, Inc.
Louisville Insulation Contractors are rated 4.76 out of 5 based on 1,051 reviews of 29 pros. Not Looking for Insulation Contractors in Louisville, CO?